TUMWATER – Devon Schrum has been appointed as the superintendent of the Mission Creek Corrections Center in Belfair, Wash. by Assistant Secretary Robert Herzog, effective December 1, 2017. Schrum most recently served as the assistant secretary of reentry and brings more than 21 years of experience and leadership in corrections to the role. Devon Schrum has worked for the Washington Department of Corrections since 1996. Schrum has worked at McNeil Island Corrections Center, Washington Corrections Center for Women, Larch Corrections Center, and headquarters. She began her career as a clerk typist 3 and rose through the ranks of progressively more responsibility, including corrections officer, sergeant, corrections manager, security director, superintendent, reentry director, and, most recently, assistant secretary. During Schrum’s tenure as director of security, she led a team to evaluate and improve staff safety for correctional staff, including the design and implementation of safety forums. Schrum established and co-chaired the statewide security advisory committee until she assumed her role in establishing the Reentry Division in 2015. She also co-authored the book Keeping Prisons Safe: Transforming the Corrections Workplace in 2014. As assistant secretary, Schrum built a network of community partners in support of the development of a reentry continuum in Washington. Schrum has her Bachelor of Science degree in Human Services and Management and her Masters of Business Administration from University of Phoenix. She served on the Board of Directors for, and president of, the Western States Hostage Negotiators’ Association, and as a delegate to the National Council of Negotiation Associations. Schrum is the 2012 recipient of the Secretary’s Leadership Award. 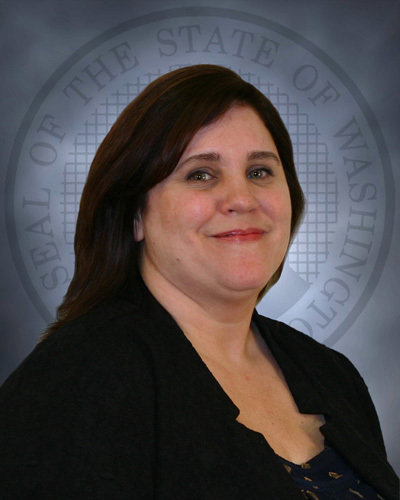 Schrum takes over from Jo Wofford, who was appointed superintendent of Washington Corrections Center for Women in Gig Harbor, Wash., effective December 1, 2017.